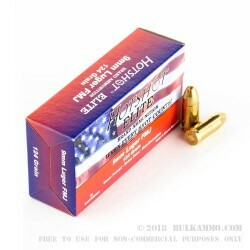 This 1,000 round case of ammo is an economical option to feed your 9mm Parabellum pistol. 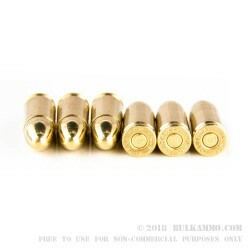 Imported from the Slovak Republic by Century International, these cartridges fire a 124 grain full metal jacket bullet at about 1,150 feet per second. 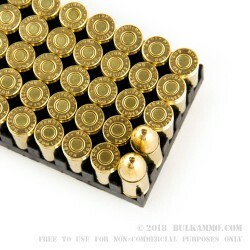 Each box contains 50 rounds, which use Boxer-primed reloadable brass cases. Century International, the importer of Hotshot Elite Ammunition, has brought a variety of different firearms and ammunition into the United States such as AK-pattern rifles from Eastern Bloc states and other countries. The company is based in Delray Beach, Florida and offers ammo, gun parts, and hunting supplies in addition to firearms. Recent offerings include the Zastava CZ999, the Canik TP-9, and the Catamount Fury. Q: Is this new manufacture or reloaded brass? A: Hello Richard, These 124gr. FMJ rounds by Hotshot in 9mm are new manufacture. The brass cases also work great for reloading.